Meanwhile I am unsure with US equities whether they can now rally as we move beyond the full moon and out of the lunar negative period, or whether the continued downtrend in geomagnetism together with a lack of bottoming out in sentiment and oversold (as suggested by Chris Puplava below) mean they have yet further to fall. If I could suggest a middle ground it would be that they muster a rally and then fall again in a kind of ABC correction. I suggest it is also unclear. Either equities could rally here out of the smaller descending wedge together with the longer term support, or they could break down lower than the June lows to make an overall ABC correction from the peak. I would feel more confident about the former option if leading and coincident data had not been so much worse this month than last. Still, I may yet act here, will see. This bodes well for commodities. This would fit well with a scenario of stocks completing their topping process in the Autumn and commodities accelerating to a peak after stocks. It has been historically normal for stocks to peak ahead of the economy (once leading indicators are trending down) and for commodities to peak last once the economy has already dropped into a downtrend. 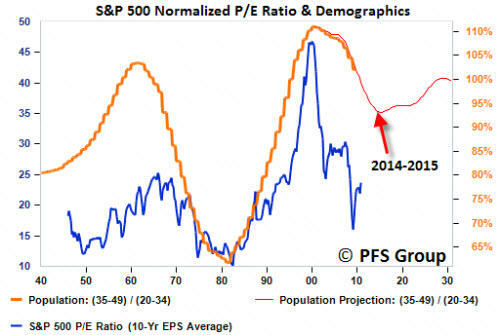 By my demographic work, CAPE and P/E valuations must be understood relative to demographics. A high valuation can and will go higher if the demographic trend is positive, and vice versa for low valuations. What we face now is an unprecedented downward pull in demographics from USA, China and Europe, i.e. a massive proportion of the world’s GDP. 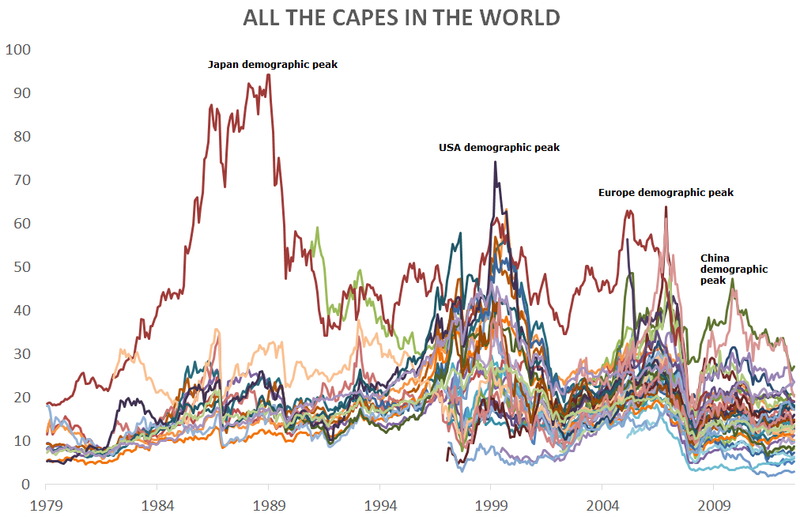 The obvious candidates for future CAPE spikes at this point would be Brazil and India, as they are both in the world’s top 10 biggest economies and have positive demographic trends. However, they would likely need to first grow into bigger more self-sustaining economies and, if that were possible, it will take time given it would take place against the collective downward pressure from the majors. In short, I don’t see a major CAPE spike on that chart coming for some time. 5. Climate – July joint hottest 10th month on record, so not at mega-extreme, but still at levels sufficient to potentially disrupt agri. 6. Silver – this seems to be the obvious target to me, horizontal resistance and a re-test of the breakdown. If it can get there I will take profits on half my positions. 7. Full moon on Wed and end of lunar negative period this coming weekend. My aim is to take half profits on Dow shorts within that period. I have no price target, just that time target. I expect equities will rise again to complete a multi-month topping process so don’t think this is the time to load up short. One more up-move, I suggest. 8. Treasury yields advanced again. Tough to call what the Fed will do at the mid-Sept FOMC, but a month’s developments to go until then. To sum up, still looks like a topping process in equities. Commodities outperforming currently and USD weak – this looks promising for a late cyclical rally in commodities, whilst equities top out. If the solar max is still ahead at the end of 2013 that whole process would fit, with commodities topping out in early 2014. 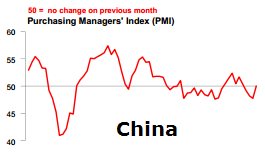 To further fit, China and emerging markets should improve whilst the developed economies weaken in terms of leading indicators. Let’s see. It’s the start of the lunar negative fortnight today. I think this lunar downward pressure can be realised in price action in US equities, for these reasons. 1. 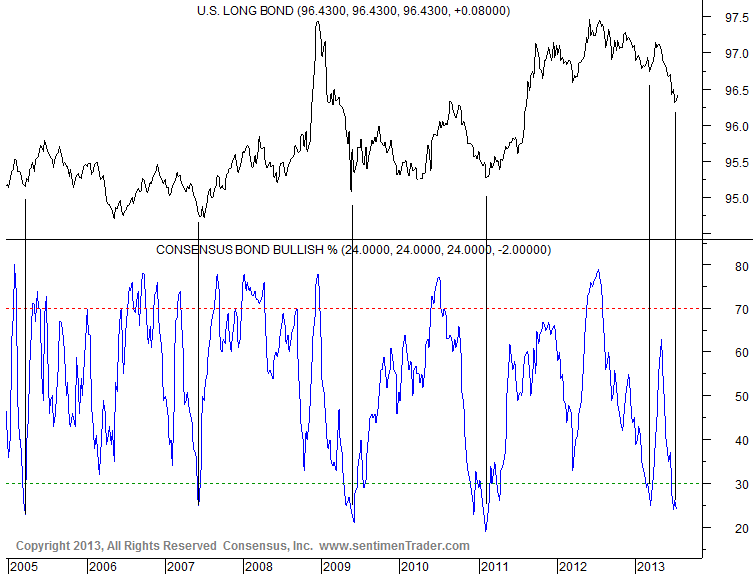 Bonds may put in a rally here. 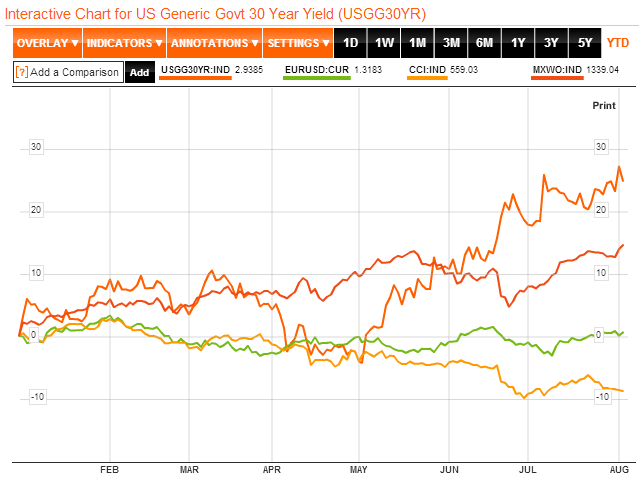 Yields look to be arching over. 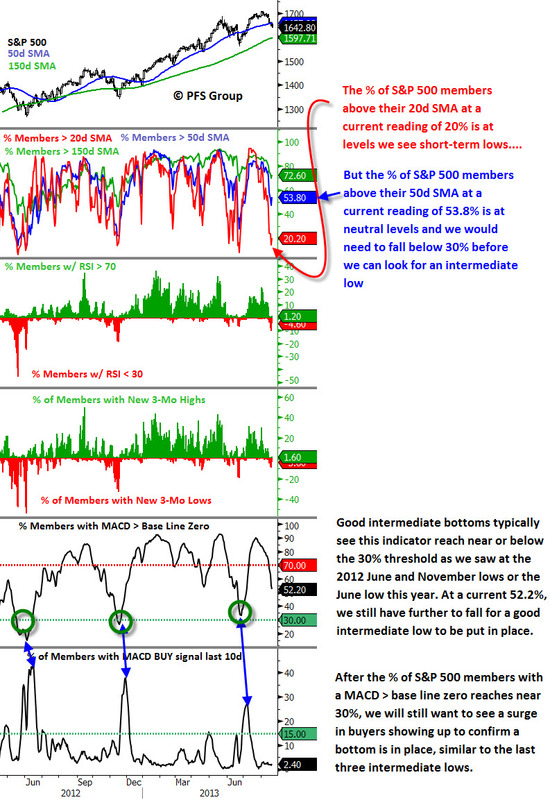 No devastating decline in overall market internals. but enough to warrant a pullback. Countering this, the latest economic surprises, service PMI and manufacturing PMI, and overall earnings beat rate for the US have all been good. 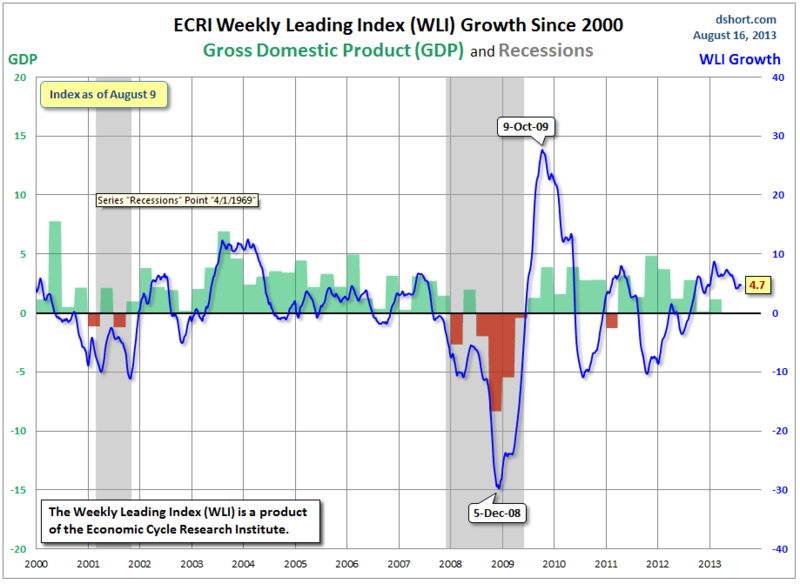 For a cyclical stock market top, we would need to start seeing some degradation in such data. However, if this is a topping process, then I expect we are only in the middle of it at this point, with a last push up to come ahead into September (assuming a decline can be realised over the next 2 weeks). By September I would then expect to see some macro reasons emerging to complete a topping process in equities. 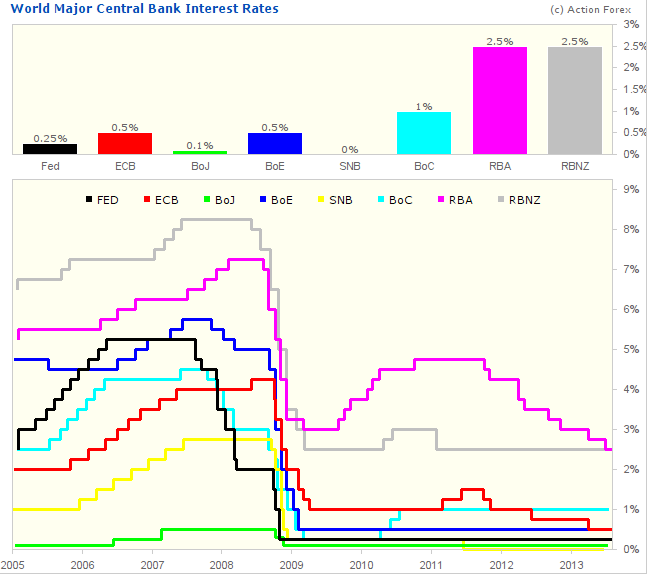 Despite the QE tapering talk in the US, the graphic shows that we are still in an era of easing, with interest rate reduction still being pursued. As you know, I believe demographic trends are the source of the global economic weakness, ensuring we will be in an era of negligible rates for some time. Maybe the Fed will start to taper as early as next month, but I believe an end to QE and a renewed rate-increase policy will not be seen soon. 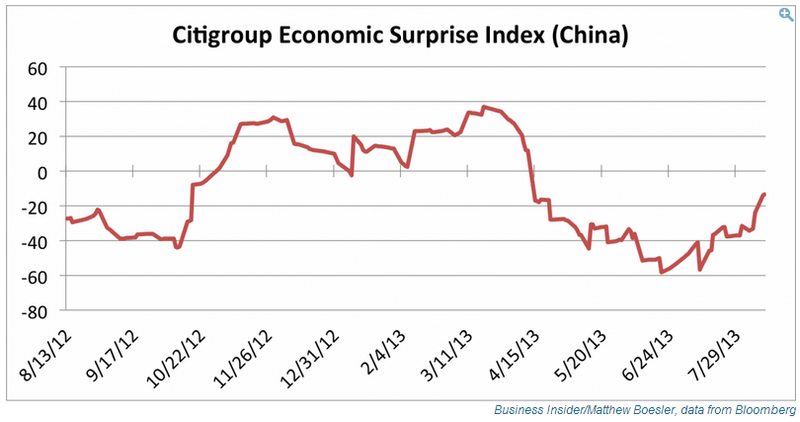 So, China has cracked, in my opinion, since its demographic trends reversed circa 2010. Those developing nations that boomed directly as China partners and those commodity-economies that benefitted from the long rising trends in commodity prices (through China demand) are currently suffering. This would include Brazil and Russia. India’s issues have been more internal and it needs reforms to help realise its demographic potential. For most of the 2000s, this China plus emerging markets story was the fuel for the global economy, but now we are looking back towards the developed world to take the batton. Unfortunately, the US and Europe have significant demographic headwinds. 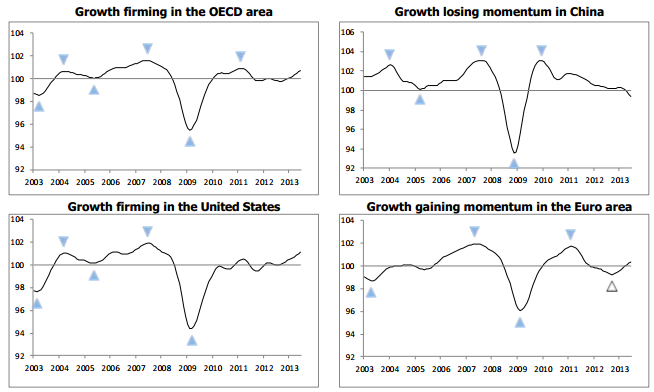 I therefore don’t believe that we are now going to see sustained growth in the West. I continue to believe that either another rally in commodities will tip the world into a global recession, or the world is heading that way in a deflationary trend. And that remains the key question for my account. Will my commodities longs prosper, or continue to sink? Right now, the commodities indices are potentially carving out a higher low than late June, which could spell an end to their downtrend. 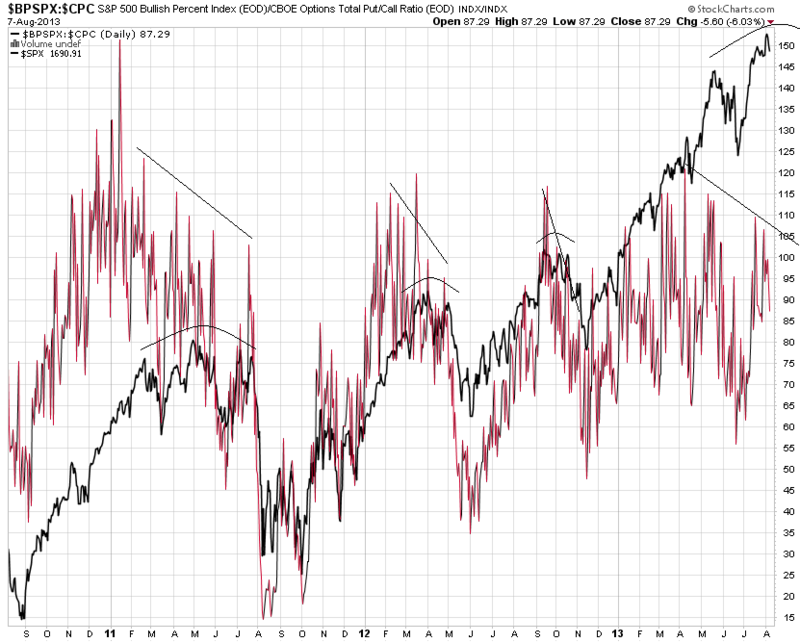 I believe this is the time for that to occur, because of my belief that equities are in a topping process. 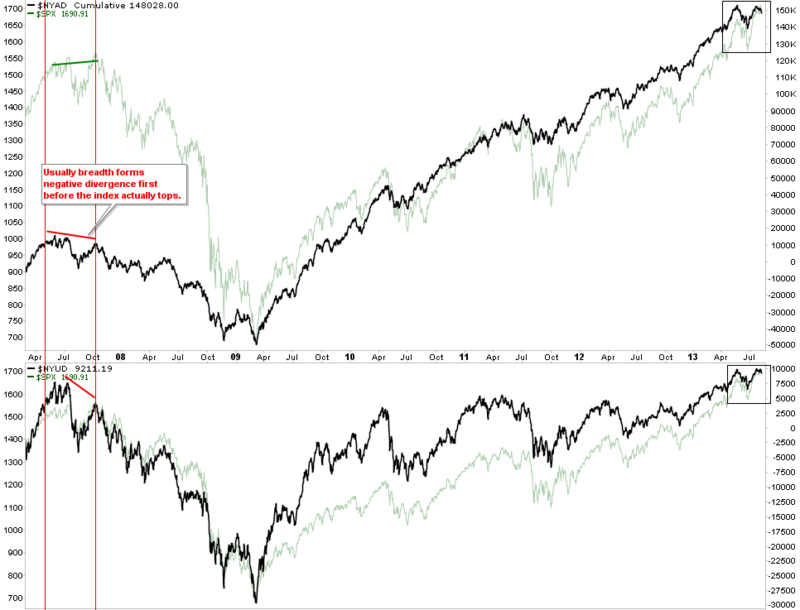 Historically they should now outperform and largely act as late cyclicals. 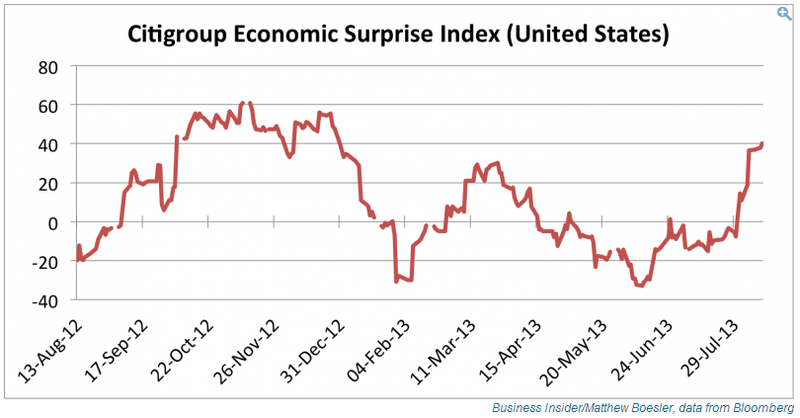 I see this next month as critical for commodities. If they cannot make a higher low than June at this point, paricularly as the USD weakens, then it would look bearish for commodities. Here is corn, showing a potential rally set up. And copper looks to be breaking out following a month-long basing pattern. To draw the above themes together, can emerging markets strengthen into year-end, positively-infected by current developed economy performance? If so, the commodities rally would appear more likely. If on the other hand developed markets begin to join emerging economies in weakness, then a deflationary downdraft would be more likely. 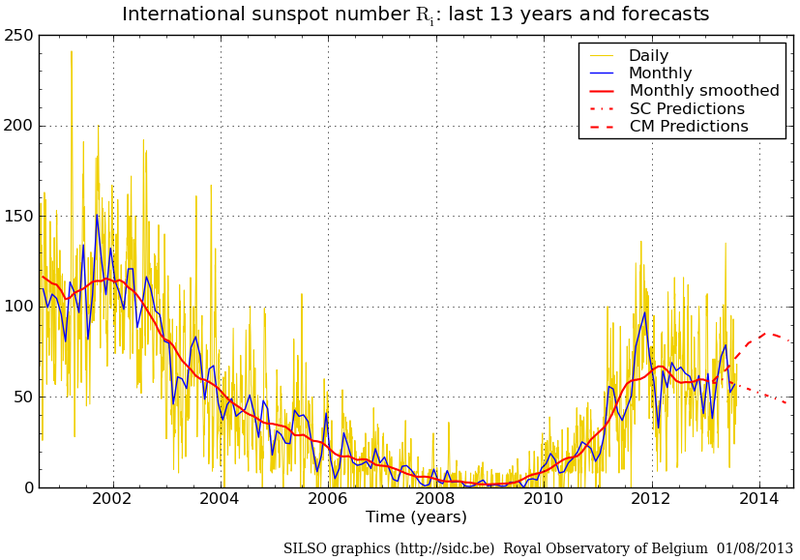 The wildcards remain the solar cycle (if the peak is ahead, then a speculative push in commodities could occur with increased geopolitical conflict an associated input) and climate (drought, flood and very high historical temperatures remain very much in play – it depends whether we see a devastating coming-together at the critical time and global location for agricultural crops). This is the latest geomagnetism forecast versus the SP500. The forecast extends to the beginning of September and as can be seen has further transformed from a downtrend to a sideways/up trend. That model has edged further up now in mid-2013 as real equities are back at 2007 levels and real house prices have edged up a little more (though are still a long way from the real 2007 peak). Yet the 3 demographic trends call for the model to collapse once again, as in 2001 and 2008. What makes demographics more potent this time around is that China has joined Europe and the USA in an unprecedented collective downward demographic pressure. Is it possible that the 2014-15 bottom is near enough and that stocks have taken off already? Well that p/e10 now stands at around 25, having bottomed in early 2009. That would mean p/es bottomed out around 5-6 years before the M/Y ratio, whereas in 2000 and 1982 the two peaked and troughed at very similar times. In the 1960s there was more of a gap, with demographics topping out a few years before p/es, but note it was demographics rather than p/es first, and this is echoed in my demographic work on Japan and UK, namely that if there is any lag it is demographics changing course first. 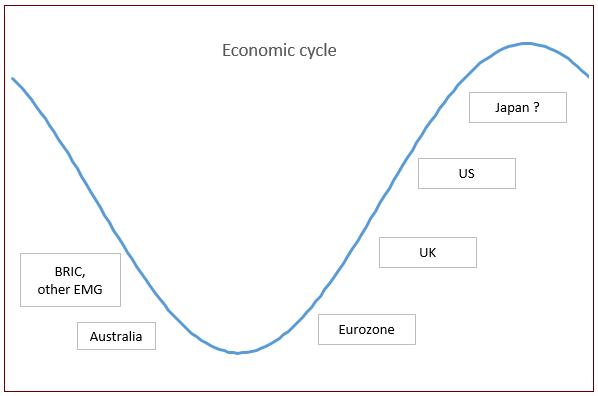 In short, another cyclical bear in US stocks still looks the most likely course to me, and this is further cemented when we draw in all demographics measures, demographic pressures in China and Europe, and other US market valuations such as the Q ratio. 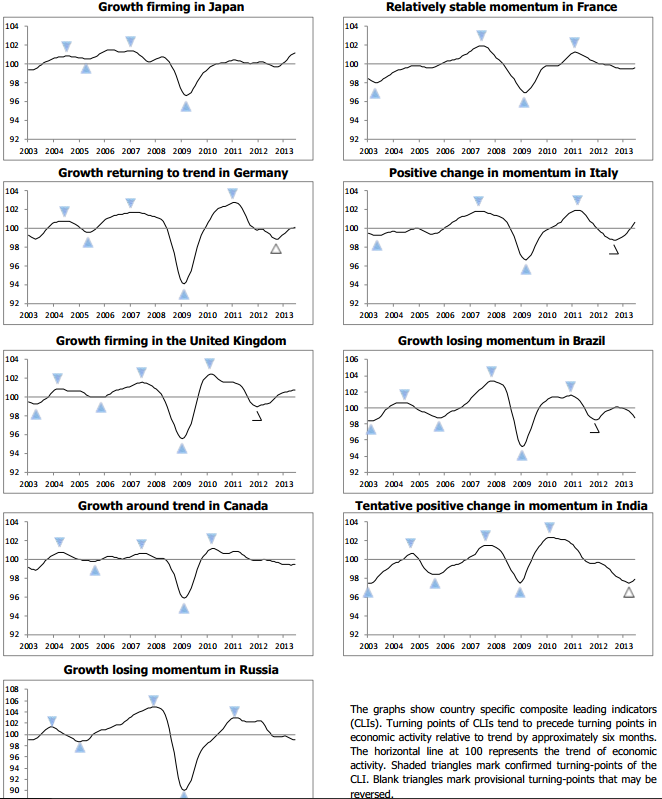 However, current leading indicator data is still largely positive for the USA at the moment (e.g. 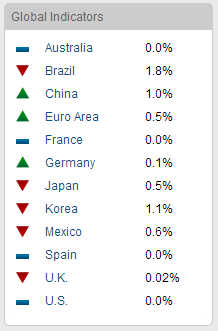 latest Markit PMI), and Europe is showing renewed strength (Markit PMIs, Conference Board). 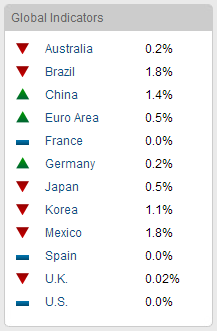 In fact it is the demographic-positive markets such as Brazil which are showing particular weakness. So what’s going on? I suggest commodities have played a key role in this. 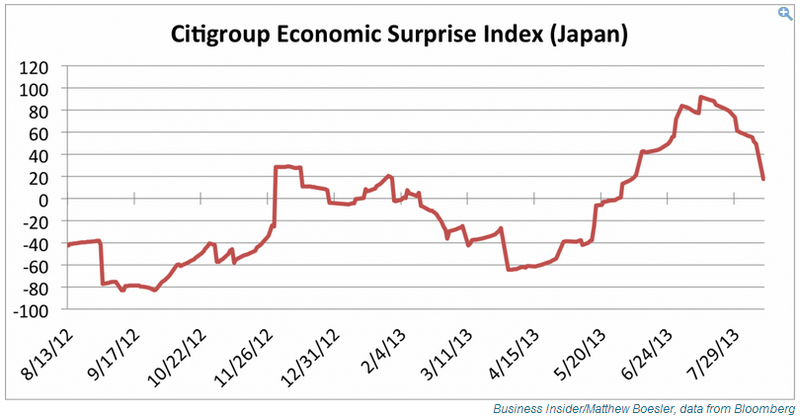 Lower input prices have boosted the developed economies and stocks. Commodity-economies such as Brazil have suffered. If commodities can rally again and make a historically-normal late-cyclical peak after stocks have peaked then I suggest the demographically-challenged major economies won’t be able to handle the renewed input price pressure. 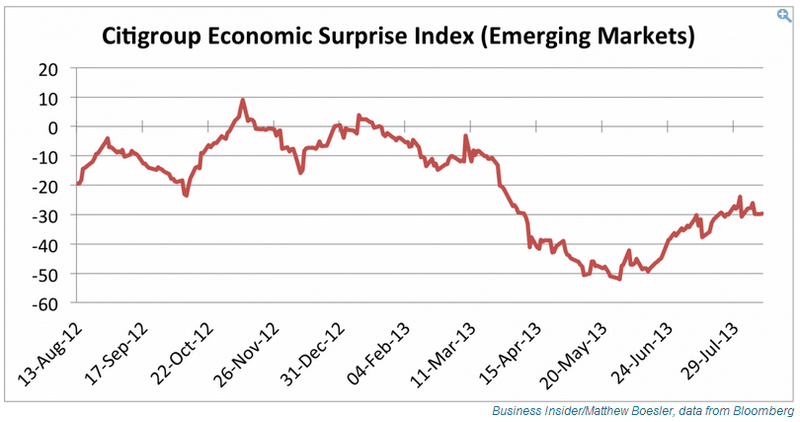 I believe the weak global recovery will topple over if commodities, particularly oil, rise in a meaningful way again. 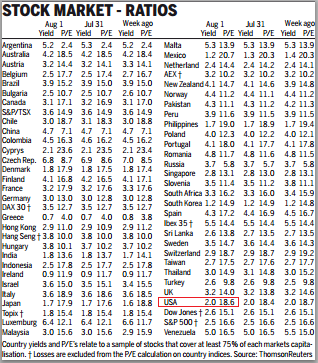 Here is 30 year treasury yields with CCI comodities index, world equities index and Euro-USD. 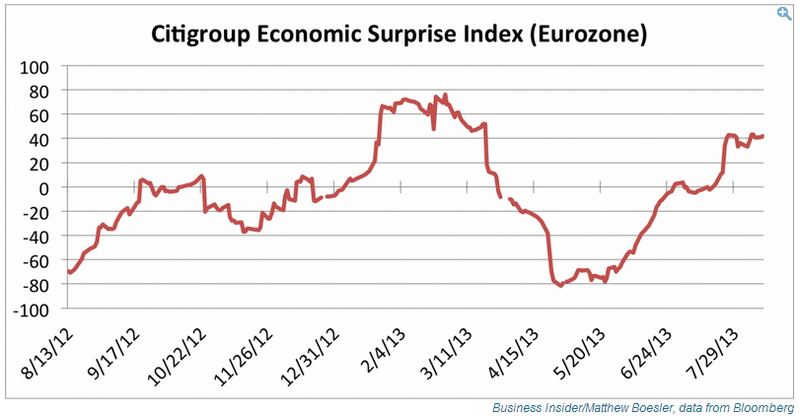 Euro-USD and commodities could be in a new uptrend that began in early July, IF they can make a higher low here. But too early to say anything more. For me, it remains a game of patience, waiting to see if commodities can start to outperform here. Gold and silver had a very up-and-down week last week. Oil has maintained its breakout but appears to be stalling. I believe the solar cycle still has a key role to play in the fortunes of commodities. Here is the latest SIDC update which continues to show two possibilities. 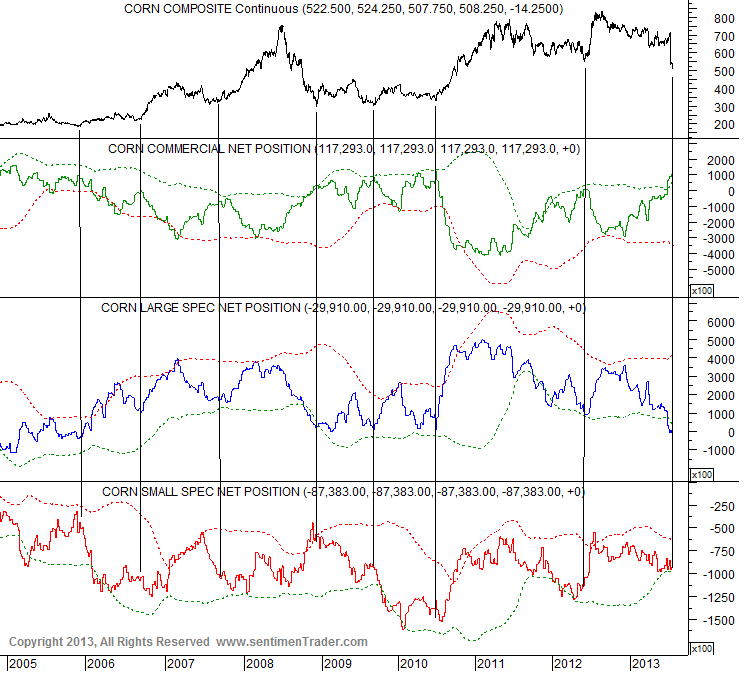 If the solar max was Feb 2012 then I suggest commodities peaked out in 2011. If this were the case then I don’t believe a new secular bull market in stocks is underway because as per my work secular actually is demographic and the major economy demographics don’t support a new secular bull. 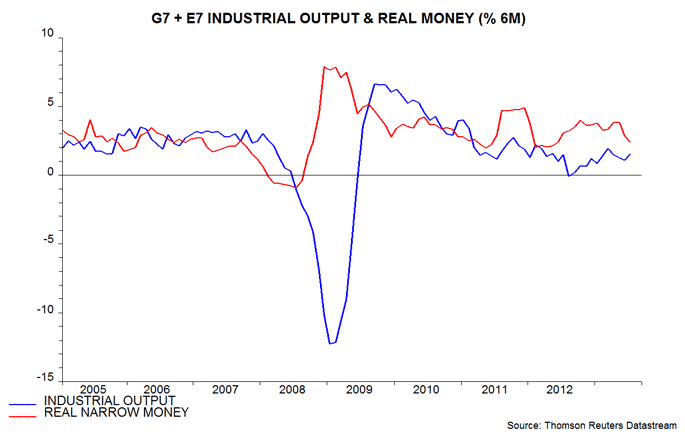 I rather expect a deflationary recession to come to pass in due course. If the solar max is ahead as per the second SIDC option then I believe we will see the historically normal late outperformance of commodities from here into 2014 and that will tip the world into recession. In the near term, I am looking at the window from tomorrow’s new moon through to Friday’s end-of-lunar-positive period to take profits on some equities longs and potentially add more short equities. I would like to see stocks advance further this week to do so.